The near boiler piping is squeezed between the indirect and boiler its tight.I'm thinking of locating the expansion tank where ever i can fit it and connecting it from there to just after boiler supply and upstream of the pumps. My question is do i need to worry about the elevation of tank relative to where it ties in to supply? i know more than a couple feet might change pressure, but im more wondering if i can hang it higher and pipe up then down to top of supply or at same elevation and pipe into supply from side. Also Im using the discaldirtmag so its not able to go into bottom of airsep. putting the dicaldirtmag on the return just before boiler where manufacturer shows a strainer,instead of the supply, This spreads out some of the accessories, do you think thats really bad idea? If i can squeeze it on to the supply is the expansion tank connection best before or after the discaldirtmag ? If i came up off the tank and then back down into top of supply line should i use a tee with vent on top of tank? The tank can be remotely mounted and until you get into much larger systems, no need to go larger than 1/2 piping. 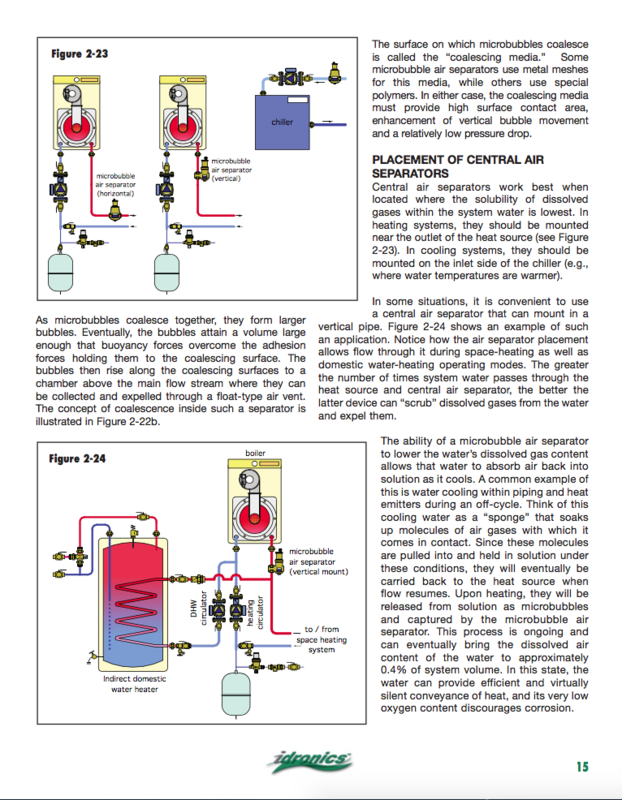 Chapter 3, Section B talks about mounting options and the formula for upsizing the line to the expansion tank. An excellent read when you have time to go through the entire handbook. Thanks to Amtrol for making this available. The very best place to remove air is the hottest point in the system. Certainly a micro bubble device will work at any location. The tank connection into the system should be upstream of the pump(s), nothing to do with the air purger location in the piping. With a combo dirt, air device it is not a good idea to connect the tank at the bottom as the dirt will drop down onto the bladder, connect elsewhere or on and offset from the bottom port of the DiscalDirt. thanks bob I didnt really see anything in there that matched what i am proposing, in fact they all seem to tie into air eliminator. but i gather from your comment i can do any sort of loop the loop with the connecting pipe i need to. 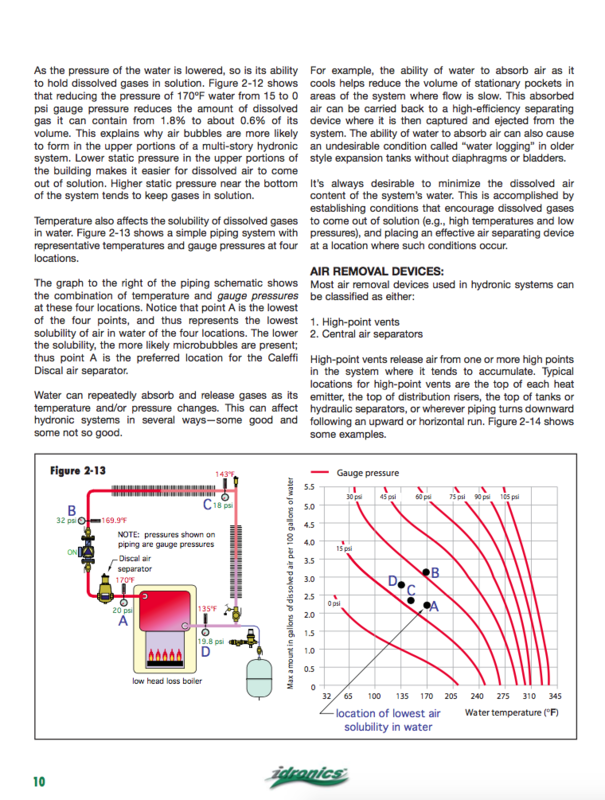 This graphic and pages from Idronics 15 helps demonstrate the best locations for air removal. It also shows another expansion tank connection point IF you have a low pressure drop boiler, cast iron, fire tube, etc. A few other expansion tank connections shown. Plenty of examples in Idronics 15 and almost any issue shows expansion tank options, really. A central dirt removal device, ideally a dirt sep should protect the Quicksetters and any device in the system. I'd run the system for an hour before you pull the ring to assure the debris has filtered out. The main concern with the Quicksetter if you pull the ring when a lot of crud or debris is circulating it can gets inside the small passage way where the flow sensing mechanism is. Usually you can free them up by pulling and releasing the ring quickly a few times, or a gentle tap. Best not to get crud inside that bypass circuit and avoid the problem. Strainers are often used with every PI type balance valves as they have small passage ways. Coil connect kits include the balance valve, Y strainer and flex hoses. 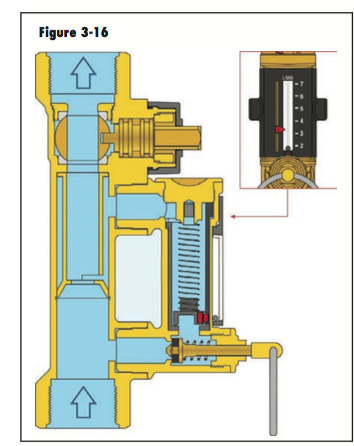 some balance valves have strainers built into the body. The most important thing is while i can fit a tee there i can not fit the expansion tank underneath that tee, I know from siggys book i can mount the tank elsewhere and pipe over to that tee. whats not clear is if there are limitations on the configuration of that piping. I have the bladder tank screwed in under one of those webstone bladder tank valves, and the caleffi check valve/ pressure reducer with gauge going into that webstone. So that leaves the top of the webstone that needs to be piped over to that tee on boiler discharge. The actual piping from the system to the tank, or tank iso valve? It can go up, down, all around, no need to pitch or be concerned with high and low points in the piping. Some installers use pex tube so it can easily be dismounted, and replaced. With our solar packages the tank is connected with CSST tube and has a 6 foot length to remote mount and allow for easy service. Again,the boiler discharge has nothing to do with the tank connection necessarily, the connection wants to be near the inlet side of the circ. If this is your TT or Lochinvar fire tube boiler the tank could connect on the return to the boiler. If the pump is on the return, the tank connection still wants to be on the suction side of that circ pump. Maybe a drawing if that is not answering your question. Thanks bob I think that clears it really up well I had this fear of airlocking the exp tank somehow. Im putting the pump[s, dhw] on the supply side of the boiler, despite lochinvars drawing showing pump on return side. so i want to connect the exp tank right there between the pump and boiler on the supply side as well. Ill try and squeeze in the discalmag there as well, if i can would it matter whether the discalmag was put before or after the expansion tank connection if they are both upstream of pumps and downstream of boiler? The expansion tank merely "sees" the pressure in the system, air or water, same pressure. Only when the fluid heats and expands does it push into the tank, unless you over pressurize the fill. Check the pre-charge in the tank before you install it with an accurate pressure gauge. The fill pressure that YOU decide to fill, must match the tank pre-charge, adjust as needed before the tank is installed. Ideally the air sep as close to the boiler as possible, certainly a foot or two away will not be a big deal, either before of after the pumps is fine, unless you are using the bottom port for the expansion tank connection? If so the Discal needs to be upstream of the pump(s). Is this the flow setter you have? This is a low lead version with a gauge and check for DHW recirc, lower scale. It will work fine, but you may already have checks in the pumps? No need to double up. I've not seen them with a screen? A screen that small in diameter would plug quickly and reduce or stop flow. Send a pic. Maybe someone assembled it with a back flow prevent tailpiece, those have screens inside to protect the BFD. Tape and pipe dope is fine, pipe dope helps keep them tape in place. With teflon tape , start back two threads or you end up with shards of tape inside. It gets into pumps, valves, strainers, avoid that. it's true the pumps have spring checks. and the zone valves are normally closed. I have a swing check on the indirect return just upstream of where it joins the CH return just before boiler, to counter reverse flow through indirect and or boiler.I kind of thought the checks in the flow setters were belt and suspenders if indirect return water decided it might be fun to head up to the CH return header instead of on into the boiler, but of course with the CH zone valves closed on the supply headers I don't really see how they could get that party started.So maybe I should not use them huh? one less thing to clog and cause friction. Frankly i dont even see how the indirect loop could get going in reverse through the spring check on its pump even without the spring check on the return section. And yes those are the flow setters I got; mostly to gauge flow and temp by zone against the pumps total flow and boilers temp gauge, ill have them set wide open and balance on the mainfold. unfortunately they won't be accurate below 2 gpm. You can still get thermosiphoing with just check or ZV protection on one side. A tube or pipe can have flow in two directions at once. It is not a fast or powerful transfer, and a larger ∆T increases it. We have seen this commonly on solar thermal systems, hot tank below a cold collector enables a ghost flow and bleeds heat from the storage tank to the collector. Indirect tanks have been know to do the same, hot DHW in the tank, a boiler at colder ambient and the ghosts start roaming. Some installers use a pump, with ZV on the return, or dual checks S&R. It's wise to just avoid the potential condition when you pipe it with 100% shut off on S&R. Thanks i must have read that earlier and was why i had left them in so ill leave the flowsetter checks in then, now everything is double checked. No i didn't solder them with checks in LOL, but the sticker confirms im missing screens, part of me thinks i don't need screens and part thinks the flow checks must clog if they are providing screens so does it matter whether i am disassembling to clean screens or clean check valves, screens might even clog faster as you said. or i could leave them both out as you now suggest and see if i get any thermosiphoning through the zone valves. 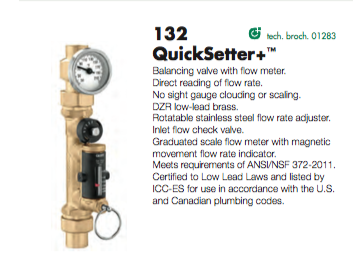 Skip the screens, the Quicksetter is a ball valve type setter, not much to plug up. Hopefully you don't choke it down to a tiny opening. If ever, doubtful, it did plug, just rotate it full open to flush. 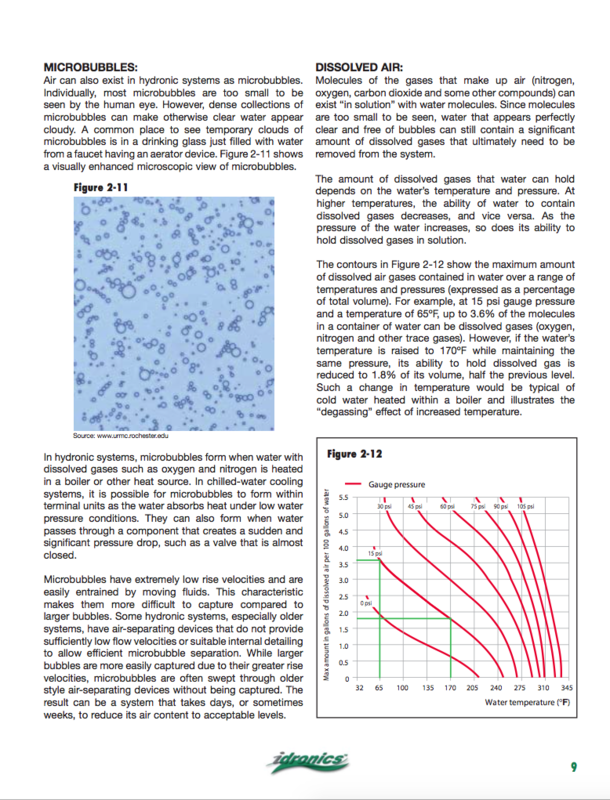 Not all systems can or will thermosiphon, it takes a certain set of circumstances to cause it. 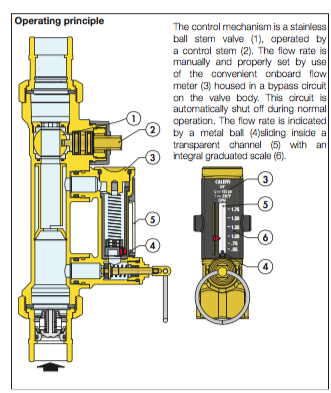 If you have zone valves, they are 100% shutoff, nothing will slip by. If heat slips by a ZV it usually has something stuck on the seat preventing a tight seal. Even a wimpy ZV will handle a 20 ∆P. 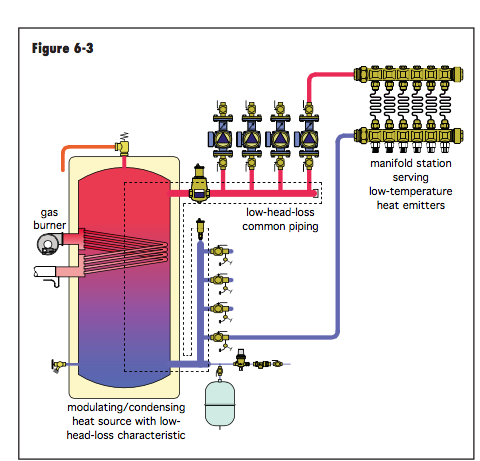 Indirects tanks are prone due to a short, low pressure drop pathway from the boiler to the tank, usually large piping. And the large ∆T present between the tank and boiler at ambient. Check both sides of indirects for piece of mind. Same with solar thermal, but the straight vertical path from tank to collector further encourages the thermosiphoning. Same principle behind gravity systems. Some plumbers, like Dave Yates, still know how to pipe DHW recirs so they thermosiphon and do not require pumps. lol not worried about flow valve clogs, more the checks which since you are rescinding your caution ;] im going to leave out .had already decided to hell with screens. and i have valves both sides of flow setters so checks could be retrofitted.I ordered another matching tridicator for the return stub very fancy boiler work going on here.